It's time for my annual reflection on the beautiful event that is Bourne Free. 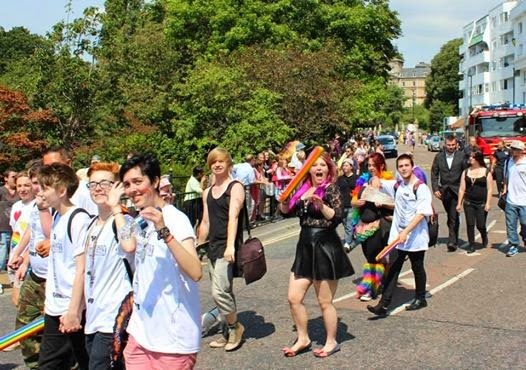 You can read about the journey we have been on over the last few years here and here if you want to catch up on why a pastor like me would be actively engaging in a gay pride event. This years Bourne Free was momentous, not just in the sense that it was epic and awesome but in the sense that it marked a season in time, a mile stone. 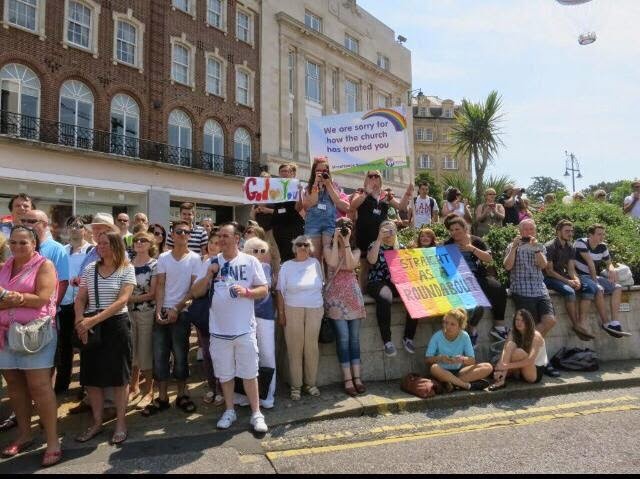 10 years ago Christian Voice came to Bournemouth to preach 'the truth' as they saw it and in response to this the local LGBT community unintentionally birthed Bourne Free. It's all very well documented so you can google search and read all about it for yourself (I personally don't want to give publicity to those that came into town so won't be posting any links). Anyhow this year marked 10 years and from my conversations and relationships in the community I gained a sense of expectation that this year would be something special. Together with my Streetspace Bournemouth clan we set about planning how we could bless the event and those attending. As we gathered on the Thursday evening to pray there was a tangible presence of the Holy Spirit with us. We prayed in and for all the venues hosting events over the weekend including the main stage arena and were asked to be part of the 'secret launch' which you can see below. Lots of our families from church rocked up to support complete with flags and banners, if you watch carefully you can see some of us in the clip. Following the flash mob we headed to the main arena which was showing Shark Tale and kick starting the weekends proceedings with an inclusive family vibe. We handed out rainbow ice lollys to the crowd and spent lots of time chatting to the team and those attending. Seeing the surprise on peoples faces when giving them a cheap simple ice lolly for free far outweighs the pain of having to carry the massive cool boxes with them in! Such a joy to be able to give out things for free with no other agenda other than to love them but sad really that people are so shocked by acts like this. I simply and clearly felt God calling me to say sorry. You might struggle to get your head around this but when two people fall out someone has to admit their fault in order for the conversation to move forward. See I know I have been called to love others as God has loved me, I am trying to work out what that bigger picture looks like but this felt like a good place to start. It was hard to find people who would stand with us (my 11 year old daughter & I) so I am incredibly thankful for the brave & courageous warriors that did. Ruth with her rainbow 'God <3 You' banner and Father John, I stand amazed at your willingness to join us in this funny little quest. You both inspire me to be more like Jesus and less like myself, thank you. As I have said before I don't like 'pimping out' peoples stories but I am happy to share that we were able to pray for many, many people throughout the day. Jesus WAS encountered and the fruits of the spirit WERE very much present. 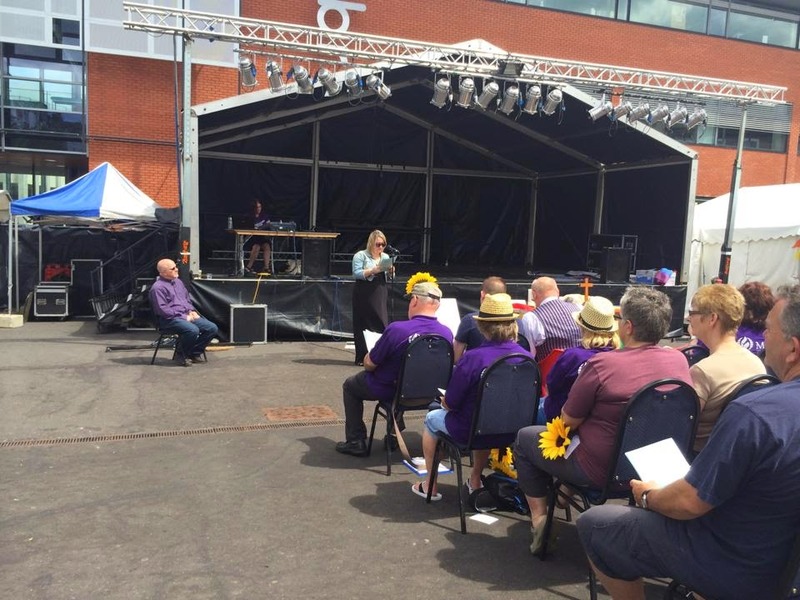 The Sunday morning saw Bournemouth Metropolitan Community Church lead their annual pride celebration, an outdoor communion service that occurs in the main arena where the night before Kimberly Wyatt had been strutting her stuff. It was a total privilege to be asked to be involved in the service. I have a lotta love for what MCC do and I have been saddened to see that many of the local churches are unwilling to stand with these brothers and sisters in Christ. Alongside the call to say sorry I have been for some time pondering what it means to love these guys well, to stand with them, to champion what they do and to worship Jesus together. The scriptures say 'by their fruit they shall be known' (Matt 7:16) and I am telling you here, very publicly, these guys have good fruit! So there we go that was our 3rd Bourne Free, I have no idea what God has in store for next year but I know that this year was truly momentous!